Upon arrival we will be welcomed at the airport and delivered to our hotel. 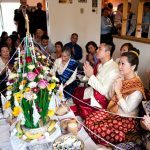 We will be given a briefing about traveling in Vietnam before enjoying a special welcome dinner at an excellent Vietnamese restaurant. 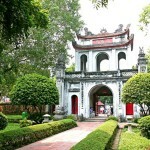 In the morning we will take a short tour of the Ho Chi Minh complex and Temple of Literature. 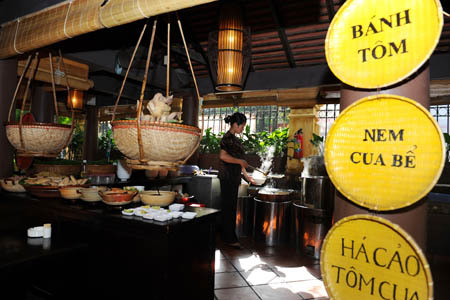 Lunch will be the Hanoi specialty of “Bun cha”. 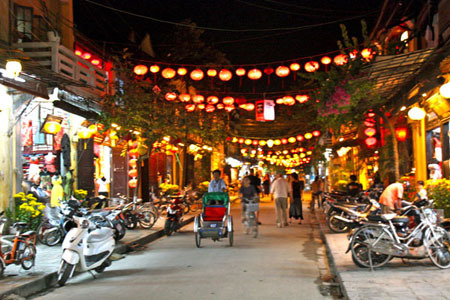 Then we will head off to the village of Phu Lang which specializes in a distinctive style of Vietnamese pottery. From there we will continue to the village of Dong Trieu, not far from Halong, where we will spend the night at homestay. After breakfast we will stroll down village lanes where we can see farmers cultivating rice, children playing in school or in the shade of bamboo thickets. 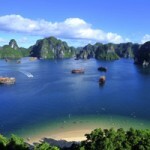 Our minibus will pick us up and take us on to Ha Long Bay where we will board a waiting cruise boat. 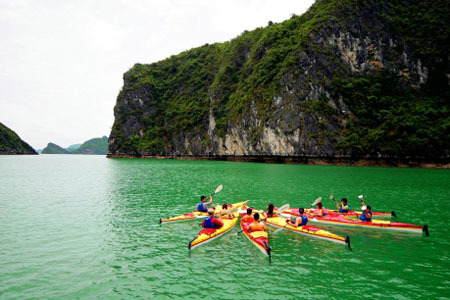 We will cruise among amazing cliffs of limestone, mountains emerging from crystal clear water. 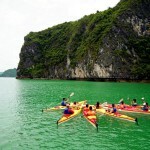 After lunch we will leave the boat to hike through the most beautiful limestone cavern. The rest of the day will be available for swimming, kayaking (through a tunnel cave if you like), and by night to take in the thousands of stars in the sky above this haunting landscape. We will spend the night on board. 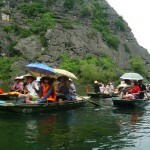 Our Ha Long cruise will finish after lunch. 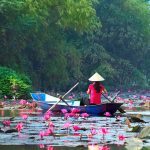 Our minibus will then pick us up and take us inland to a region in the south east of the Red River Delta called Tam Coc. Here the limestone pinnacles soar above the river flats to form an unforgettable landscape. 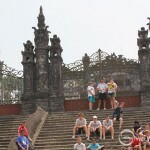 After that we will drive back to Hanoi to catch over night train to Quang Binh. including the world’s longest underground river. Some of these caves were even used as an arms store by the Viet Cong. 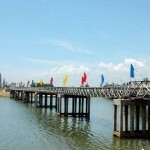 In the afternoon we will go back to Quang Binh for overnight. 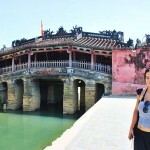 an underground village by the banks of the Ben Hai River, Hien Luong Bridge (It used to be the border between North and South of Vietnam), then we will visit La Vang church. 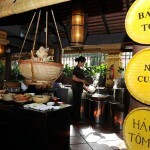 We will be arrived in Hue in the afternoon. 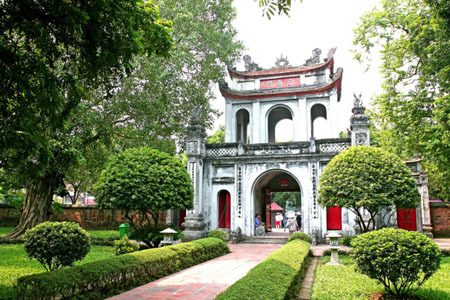 The walled city of Hue is an ancient cultural centre and was for a time the capital of Vietnam. 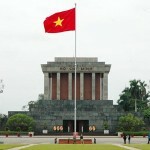 It was a key target of the North Vietnamese in the Tet Offensive and following its capture was the site of a shocking purge of intellectuals and community leaders. 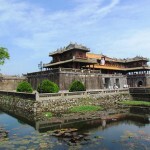 But the rich heritage of cultural sites remain, the Forbidden Purple city, Royal Tomb’s and many Pagodas. 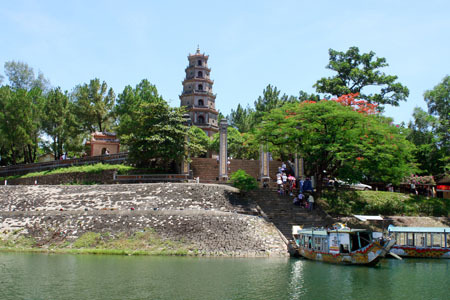 In the morning, we will show you the inner Citadel with its enormous expanse of gardens, lakes and traditional public buildings, and to the Thien Mu pagoda. 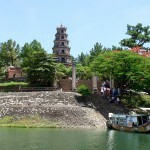 We will then cruise the Perfume River to the Tombs of the Kings Tu Duc and Khai Dinh. 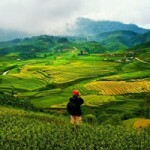 We travel through the high pass of Hai Van with its spectacular views of the Pacific Ocean en route to Hoi An. 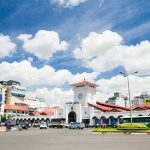 Once a flourishing trading port servicing south East Asia, this quaint riverside town still boasts a wealth of centuries old traditional architecture. 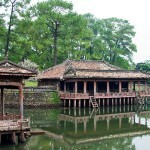 The influences of several Asian cultures can be seen in the old houses and waterside buildings. 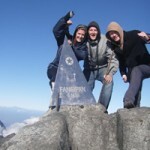 It is also famous as a place to get instantly created inexpensive tailored outfits. 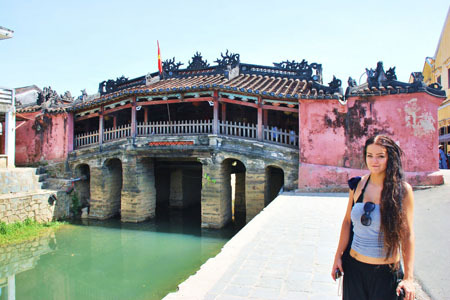 From Hue, we travel inland to My Son Holy land. 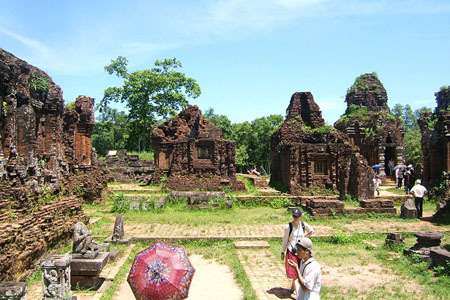 This strange isolated complex of ancient stone buildings is believed to be a sacred place of the long lost Chapa kingdom. 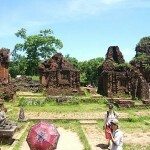 These architecturally unique relics are believed to be over a thousand years old. 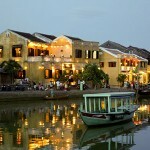 A short drive away is the Thu Bon River where we will board a sampan for an hour-long cruise back to the town of Hoi An. 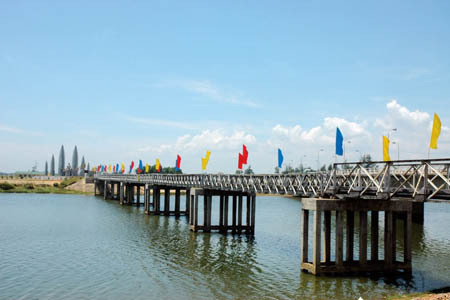 Free at your leisure until transfer to Da Nang airport to fly to Ho Chi Minh City (or Hanoi) to connect with the flight back home. All transports by private A/C coach or car with reasonable supply of water. Sightseeing as indicated entrance fees and permits.